Jim Carolan has nearly 30 years of experience advising investors on their real estate acquisition, development, financing, leasing, disposition, and regulatory needs. His clients include high net worth individuals and family offices, investors and investment funds, developers, major corporations, art galleries, luxury retailers, restauranteurs, universities and other tax-exempt organizations and their endowments. Jim has handled acquisitions and sales of single assets and portfolios, ground leases, space leases for office, retail, warehouse and other uses, asset-based and mezzanine financings, development and investment joint ventures, construction and design arrangements, and complex easements for conservation, utilities, construction, and access. In addition to his extensive commercial experience, Jim has handled over $1 billion in luxury residential transactions in and outside the United States. He frequently advises high net worth individuals with substantial real estate holdings on intergenerational real estate ownership challenges, threats of partition, and uncooperative partners. Jim's experience includes previously leading the US real estate group of an international law firm for 10 years, where he worked extensively with high net worth clients and family offices. Before that, he served as associate general counsel to Yale University for 14 years, where he advised the central university and endowment on real estate investment, development, and general business matters. Jim is a frequent lecturer and has taught on real estate law and practice at the Yale Law School, the Yale School of Forestry and Environmental Studies, NYU, Columbia, and Cornell. 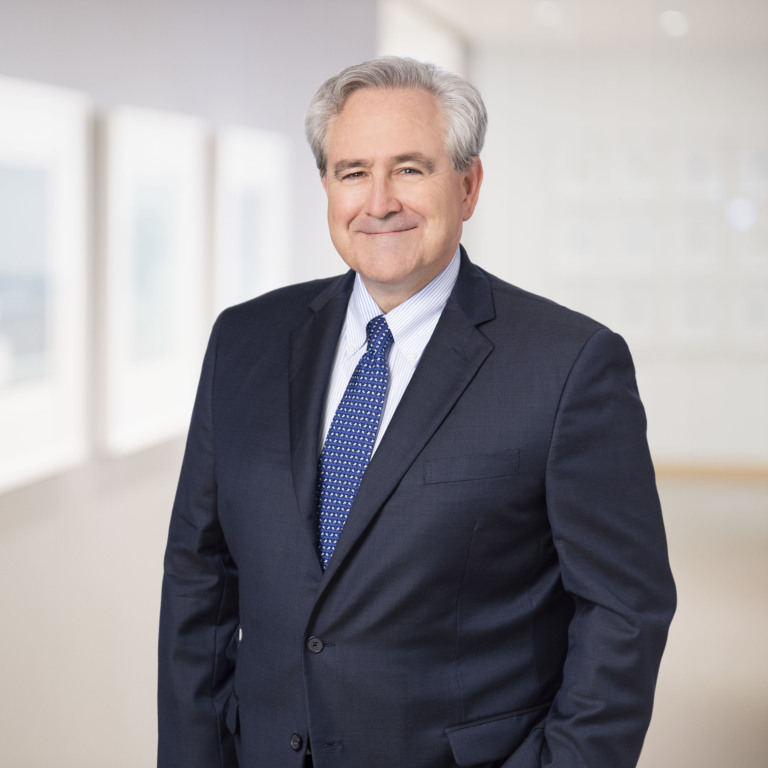 He has handled pro bono matters throughout his career, ranging from affordable housing issues to a child abuse action, to advice on the formation and governance of nonprofit organizations. Fluent in Italian, Jim regularly advises Italian speaking clients on their US dealings, and assists foreign investors dealing with Italy. Jim also raises money for the maintenance of Italian monuments in his spare time. Handled sale-leaseback transaction with a public REIT of a manufacturing facility for the portfolio company of a private equity fund. Represented foreign developer on structuring joint venture for construction of luxury and mixed-use projects in Manhattan. Drafted build-to-suit ground lease for boutique hotel in Chicago. Assisted with $100 million financing for Manhattan healthcare organization. Negotiated purchase and lease-back of prime development site on Madison Avenue for foreign investor. Assisted with purchase and sale of various real estate portfolios in Manhattan and elsewhere. Handled acquisition of 25 mixed-use, urban properties in Connecticut through consensual foreclosure. Structured joint venture for equity investment into major Boston retail project. Advised on creation, enforcement, and modification of conservation easements. Helped foreign companies establish US manufacturing and office facilities. Acted as fiduciary and gave advice on commercial developments in NY and CA for foreign developer. Advised public and private universities on structuring real estate holdings. Counselled families and family offices on intergenerational transfer and management of jointly owned real estate, and on resolution of disputes with uncooperative partners and heirs. President, Friends of FAI-The Italian Environment Foundation, Inc.